Are you concerned about how to build strength and sanctuary within your movements? One year into the Trump Presidency, how has the concept of sanctuary expanded and taken different meanings and urgency in different parts of the country? Do you want to learn and explore more about creating people-led alternatives to state-led “protection”? 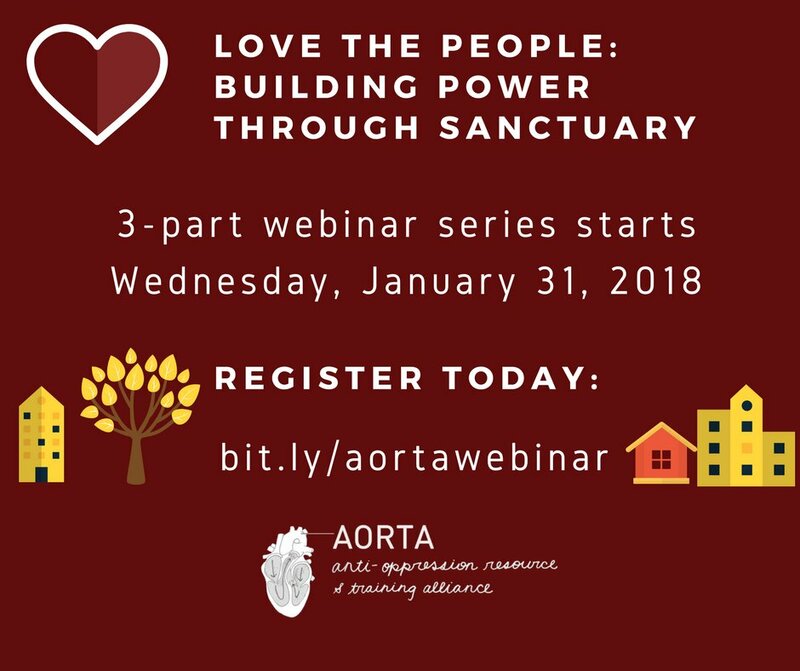 Love the People is a three-part webinar series that will bring together storytellers who will share their experiences with community-focused responses to interpersonal and systemic violence. We will cover interpersonal violence intervention in our homes and neighborhoods, defending our demonstrations and movement spaces, and community defense in our workplaces, in sanctuary and across our communities. We will explore how to expand the concept of sanctuary and new ways to imagine community defense. Save your spot in the series, sign up today. There is a single registration cost for the webinar series and it is on a sliding scale. We are making this program available to any organizer who wishes to attend, and inviting you to pay what you are able. We also strongly encourage you to sign up with a buddy or a group of other folks you organize with, so that you can take these conversations offline and into your everyday organizing work.